Four Fantastic Words: FREE Fruit Bats Tonight! The Portland via Chicago band the Fruit Bats have long been indie folk rock mainstays since leader Eric D. Johnson cobbled the project-turned-band together in the late 90’s. After signing to Sub Pop in ’02, the band’s connection to the Pac NW was solidified. Since the band’s founding, Johnson, the group’s core member amongst a rotating cast of talented players, has come to call the Pacific Northwest home. 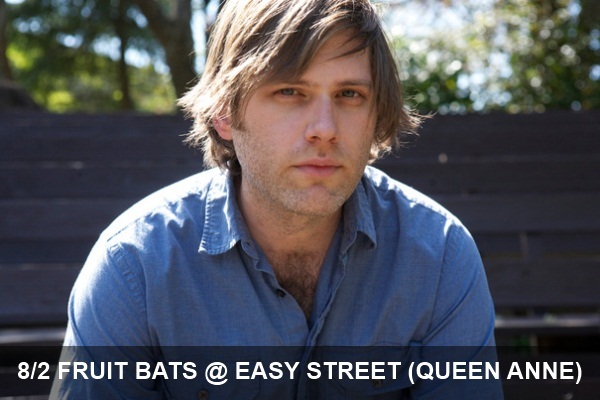 Johnson, who is notably now a member of The Shins and formerly a core player with Califone, will be bringing the Bats to Queen Anne tonight for a free in-store at Easy Street. Be sure to get there early as space will be limited as the popular band will draw quite a crowd for this record-release performance.